If you’re switching to a new email address, this tip is good to know. Even if you ask everyone to stop using your old email address, some will (accidentally) continue to send items to the old address. Why is this? If they’re using Outlook, the reason may be a feature called “Auto Complete” which can be very useful – but makes it harder to change email address because it will always suggest the most recent address, as shown below!! Hover your mouse over the actual email address (without pressing Enter). Immediately press the “Delete” key on your keyboard. Outlook will now forget this address. When they type in the NEW address, Outlook will remember it instead. 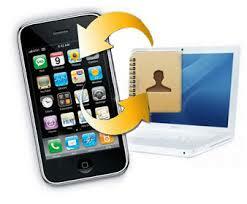 You still need to update your Contacts/Address book of course, replacing the old address. This tip is also useful if you have mis-typed an email address into Outlook, and want it to forget this. 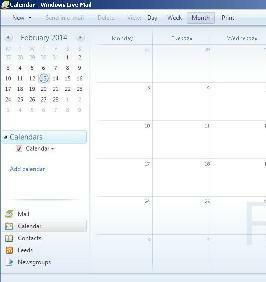 You can organise your calendar ….. alongside your mail accounts + contacts (even if you don’t have Outlook)! If preparing to switch to a new computer, you should consider including your “AutoComplete List” when backing up your Outlook files. The AutoComplete list pops up whenever you’re about to type an email address, remembering EVERY email address you’ve typed – even if it’s not in your address book. Moving it to your NEW computer allows you to quickly “get up to speed” ! Finding it isn’t easy – you will need to search for files with an extension of NK2 – and include “hidden files”. Have you recently made a backup copy of your address book / contacts onto your own computer ? Your web-based account could, without your knowledge and at any time, be “hacked into” by a fraudster who’s stolen, cracked or simply guessed your logon password …. especially if you have a simple password or one that isn’t regularly changed. Just in the last few months, this has happened to at least 3 of my clients , in one case over 500 contacts were stolen by the hacker based in Nigeria. Fortunately Yahoo were able to restore a backup copy of his contacts as he realised quickly and turned to me for expert assistance. I plan to publish a simple tutorial to help you perform this simple task (and change your password) using the most popular webmail services. In the meantime, please do contact me for assistance.